Welcome to our second newsletter. We have achieved a great deal over the last few months and have lots of future plans to share with you. Firstly we would like to welcome our new residents. 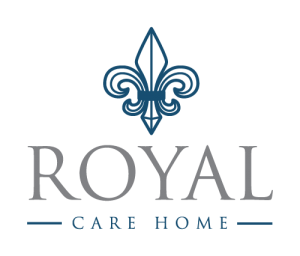 We hope your stay at The Royal Care Home is enjoyable and comfortable. In the August newsletter we explained what our plans were to improve the facilities within the Royal Care Home. We began with the front lounge and went on to create the memory lane. We are now very pleased to say that the ground floor sensory wet room is complete. This is something both our residents and staff were keen to develop. 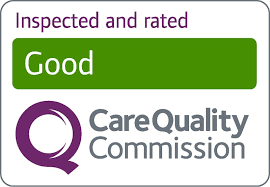 It has plenty of space in order to help us deliver an excellent standard of care. 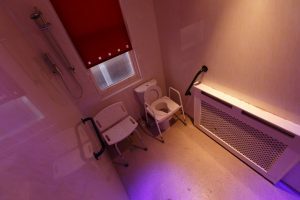 We have also added touches like colour changing light bulbs, which gives the wet room a very relaxed feel. Please ask a member of to show you when you are next here! Our next planned task is to paint both of the staircases and the top corridors. We are also planning to design a 3D wall art mural on the back wall of the dinning room. We feel this will brighten the home up and give the residents something to discuss over lunch. Debbie will also be moving in to the front office this month. This will mean that you will be greeted at the door. You may wish to use this opportunity to sit with Debbie and find out information about your loved one or sign off any new care plans. All our records are now computerised, which means Debbie can have the information in front of you at the touch of a button. Please be aware that the front office can get a little busy. To retain privacy Debbie will use her back office for meetings and to discuss any confidential issues. Can we also remind all NOKs or LPAs if you have not yet signed your loved ones care plans and risk assessments off, then please could you mention this to one of the team and they will explain what you need to do. This is now a CQC regulation, called The Duty Of Candour. Signing the care plans off after each change, is our way of evidencing that we are transparent within the way the home is managed and that we are involving you in your loved ones care. Any changes to these care plans or risk assessments, will be discussed with you and your loved one and changed accordingly. Debbie and the team have been doing a fantastic job of running the home. The directors have been very busy behind the scenes too. We are very proud to say that our new web site will be available to view shortly. Once ready Debbie will let you know – please take a look as your feedback is really important to us. We are now getting close to turkey and tinsel time! As a home we have a great deal of activities planned. From accordions to singers to the big man himself! We are planning the menus for the Christmas period at present. We appreciate that through the Christmas period families and loved ones like to be together. If you are arranging to take your loved ones out for the day please could you let us know, so that we know how many we are catering for. Alternatively, if you would like to join us for Christmas dinner then please let one of the team know. We would be happy to have you! We are aiming to make this Christmas one of the best the home has seen. We will send you all a copy of our planned Christmas festivities and menus. Please feel free to come and join us. We would like to say a huge Thank You to everyone who came to our 1950s party. The residents and staff loved it. Singing, dancing and lots of laughter were had by all. Indeed even the King himself turned up! Please come and join us. The party itself starts at 2pm. Happy Birthday !! We hope you have an amazing day. Finally, please could you take the time to complete the enclosed quality assurance questionnaire and return it to us, in the SAE address provided. We will use the feedback to make sure the home continues to provide the best quality of care possible for your loved ones.